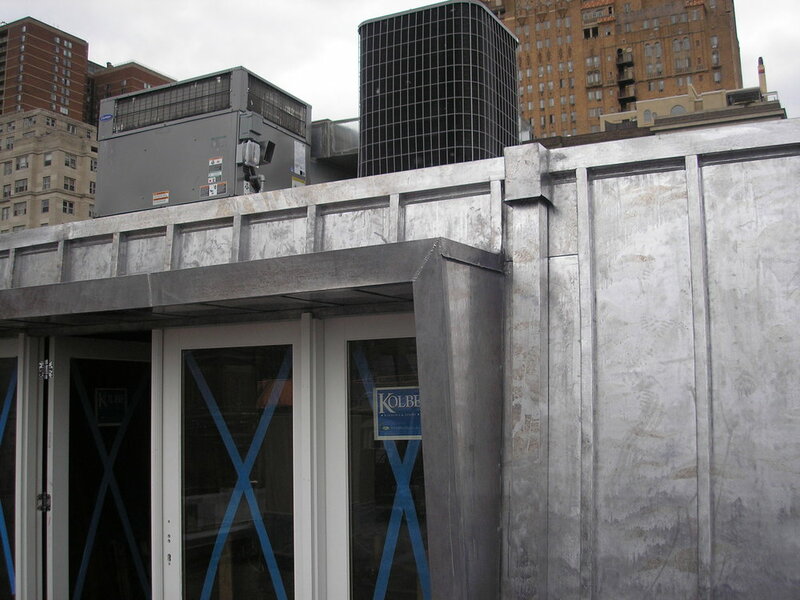 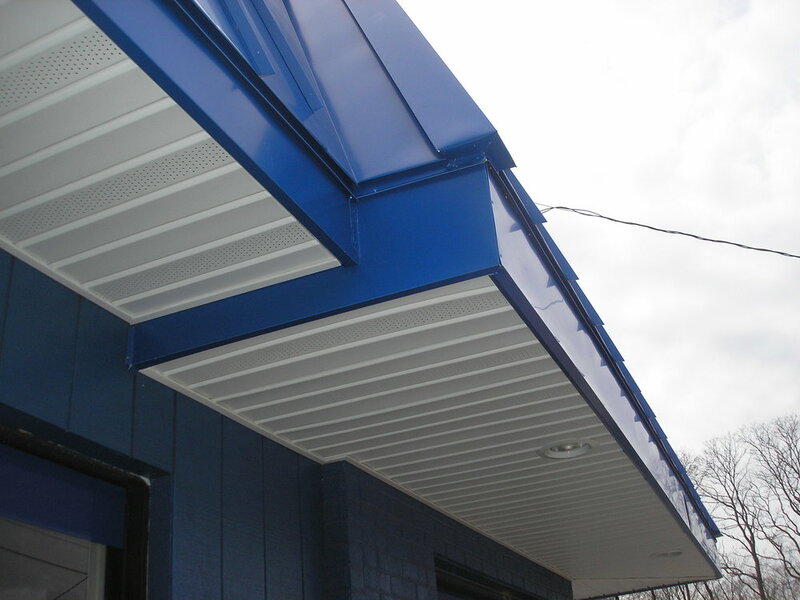 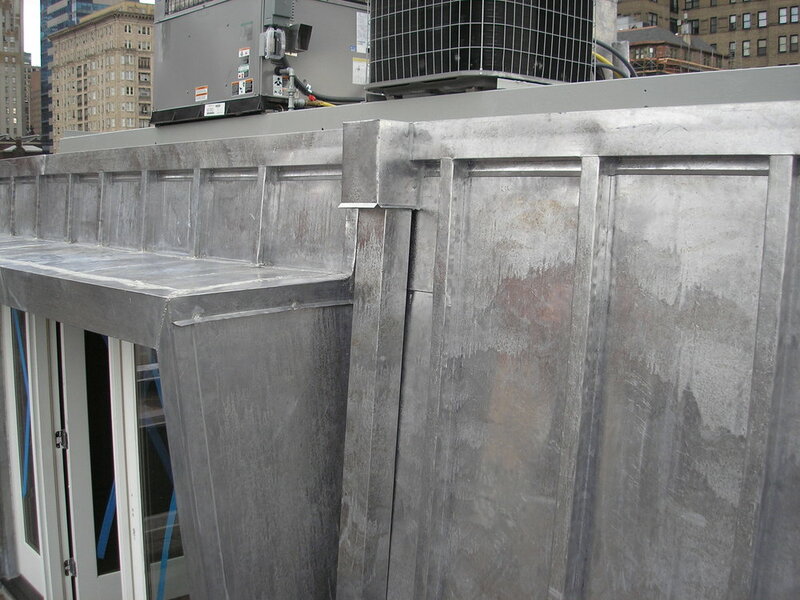 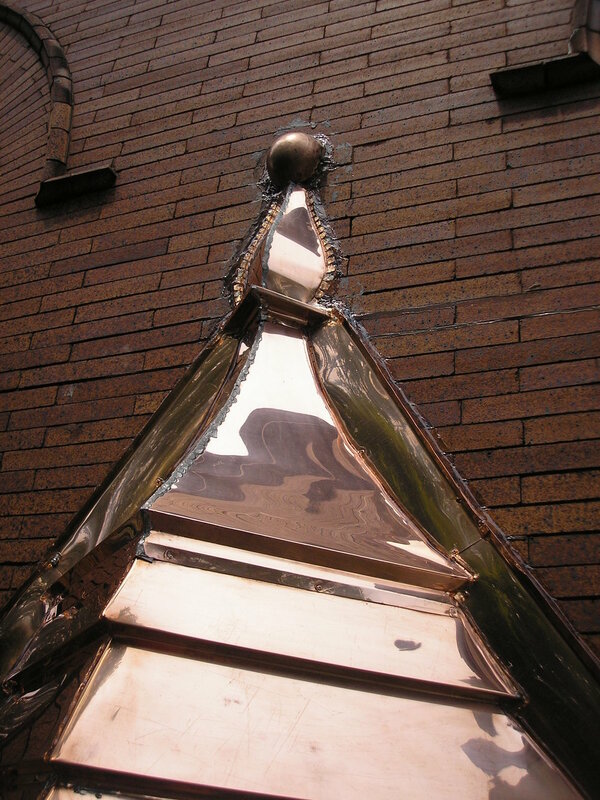 Fabrication and installation of all types of metal to match existing or totally new design. 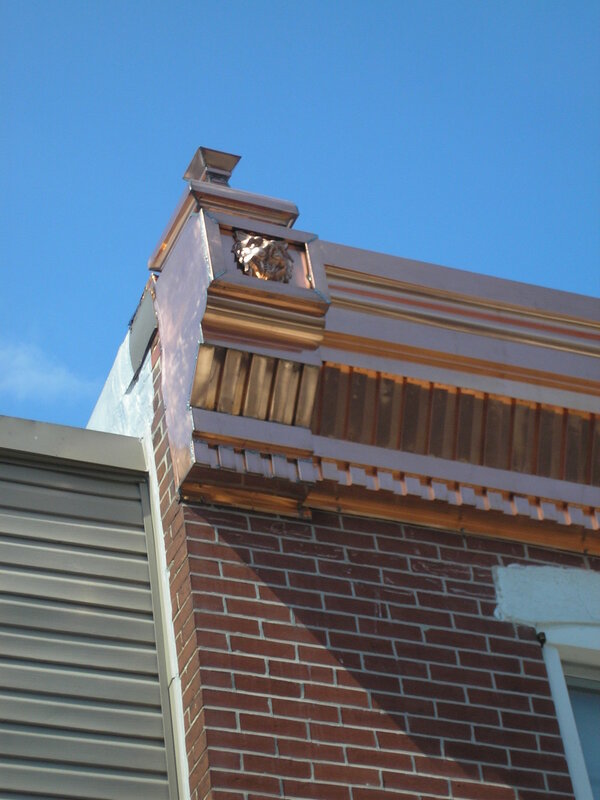 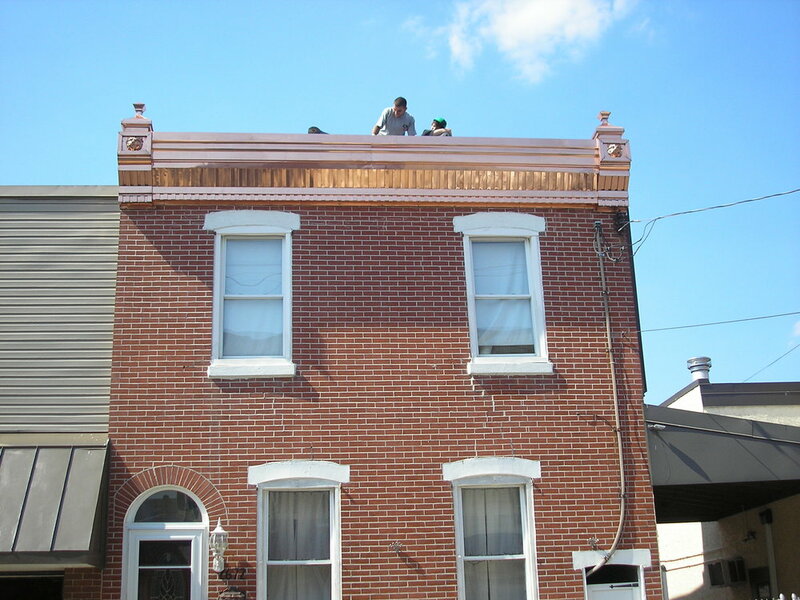 Ornamental cornice, leader heads, rain conductors, spouts and facias to match any existing with tolerance to 1/16 of an inch. 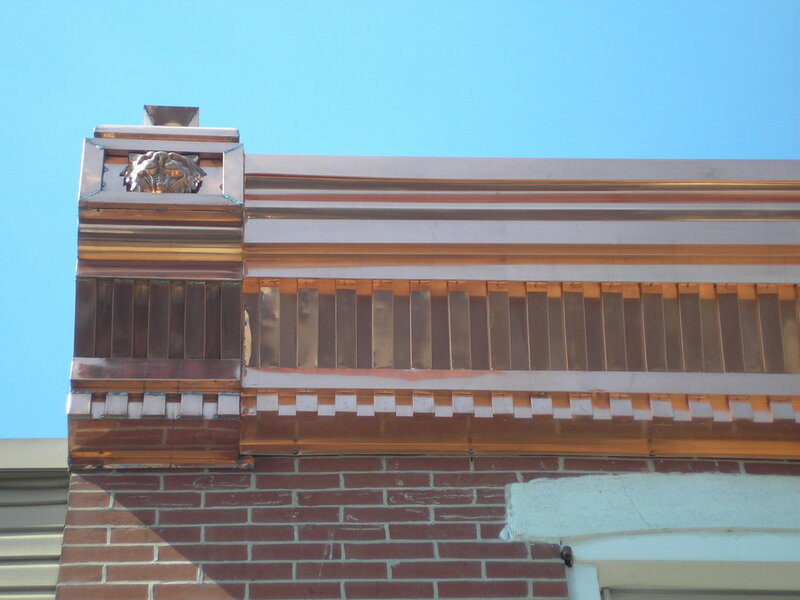 From complex to standard both with old world craftmanship.